You guys. We've talked about it. We've talked about it for so long. And now...it's finally happening. 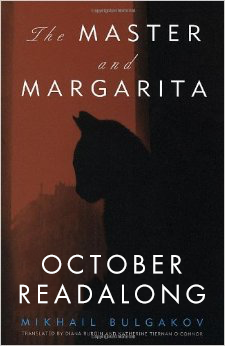 This October, we shall read the classic tale by Bulgakov that seems to involve a cat! I have assumed it was about ships for about a decade, which I have now realized is because of the series Master and Commander, so! Let us proceed knowing it probably has nothing to do with ships, but will perhaps be great nonetheless. As is the tradition with our readalongs, let your GIFs be used liberally and let them be on-point. I SHALL SEE YOU IN OCTOBER.